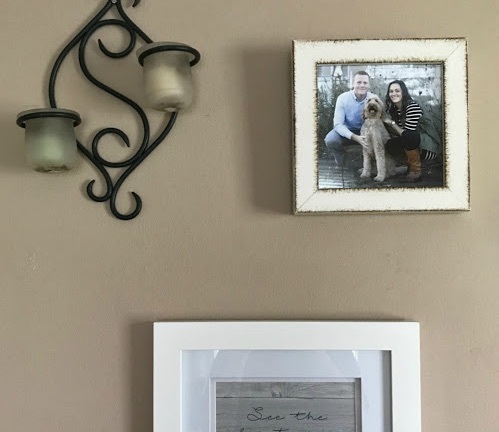 I tried a photo framing service that can turn any digital photo into a beautifully framed print for under $30 — here's how it works. It took less than a week for my prints to arrive. They were well-packaged, and both the prints and frames looked extremely professional. 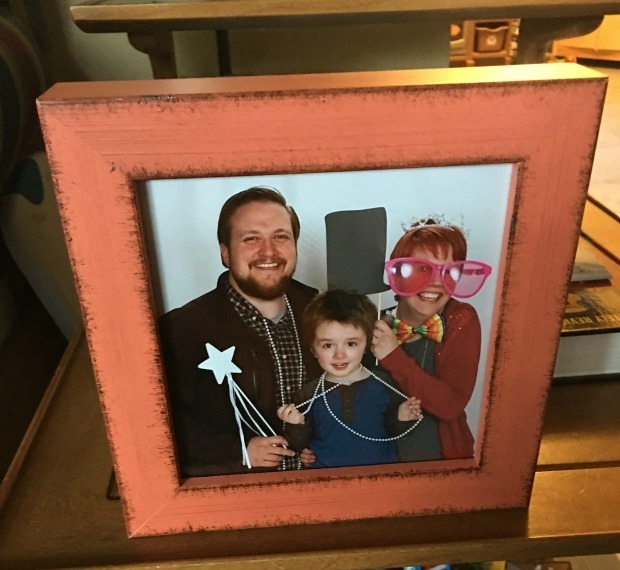 I’ve been lamenting how few pictures ever make it off our phones, so I’ve started printing more straight from my phone, ...and ordering framed prints using the Keepsake app. 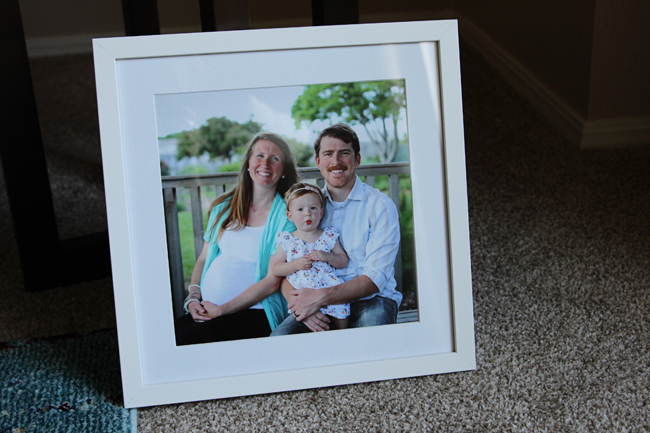 I’m impressed by how fast, affordable and good-looking Keepsake’s framed photos are. 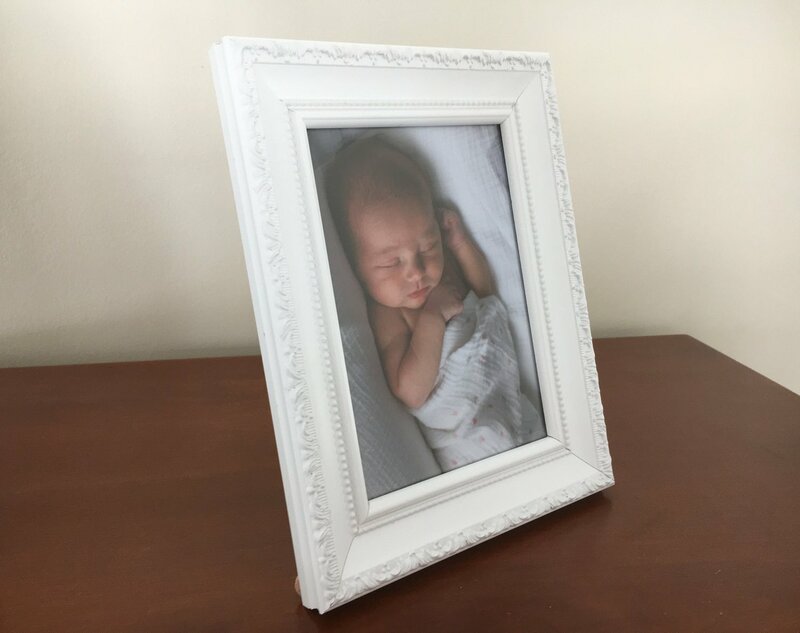 Keepsake creates custom frames for your photos in a quick process that you can do either on your desktop computer or inside the free app straight from your phone. I used the app to make my frame, and it was super easy. The hardest part will be deciding what photo to frame! It’s no secret we have way too many photos, and not enough wall space. But alas, I always manage to find a way to squeeze in just one more. I’m always trying to update my picture frames, and can never decide which picture to frame next. 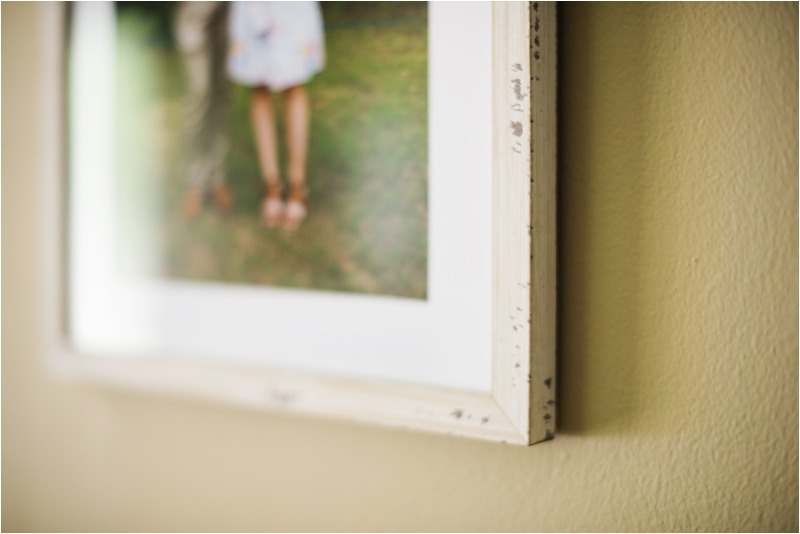 I want to frame all the photos, and always love how a great framed print can bring a room together. 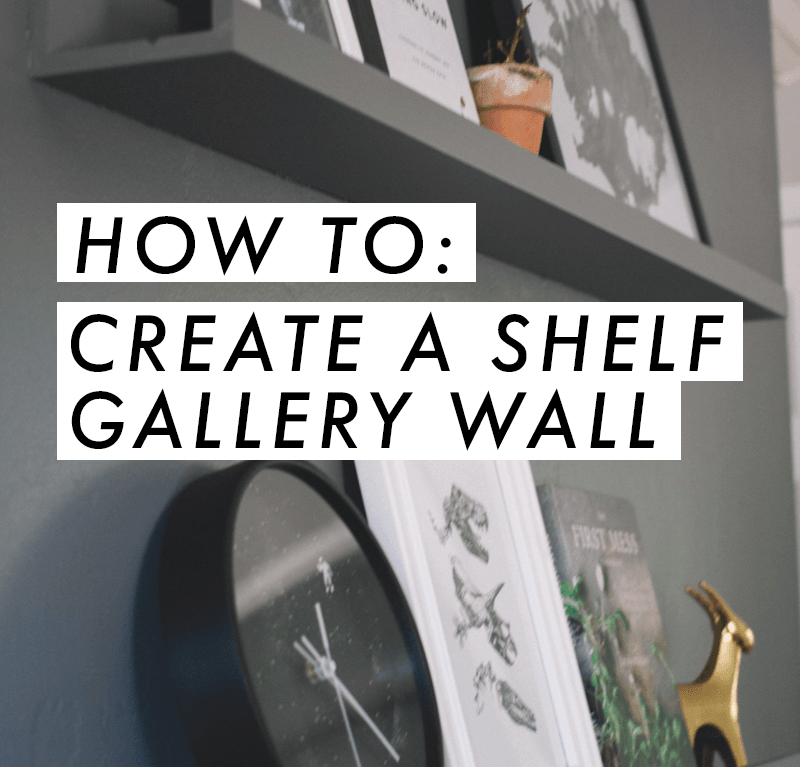 You may have seen some updates on my Instagram stories, but I've been working on slowly re-doing the gallery wall in our living room. I love gallery walls. I think I have four of them in different parts of our house. I liked the one in our living room, but after almost 5 years, I was ready for a change. So I don’t know about the rest of you, but the digital age of photos has really led to most of my pictures living in my camera or on my computer more or less forever. On occasion I’ll think to print some off to send to Nate’s grandma and then I print a few extra for us. But for the most part, they stay in digital form forever. And the few that actually do get printed? They rarely make it into a frame. 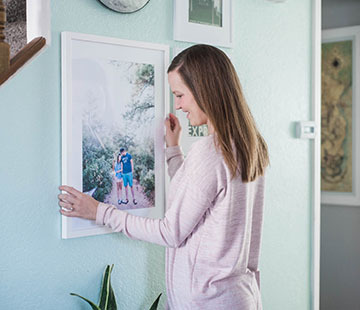 Keepsake is an app that is working to make both printing AND framing your photos a much easier process. Since I take so many photos, I didn’t want to order any prints from other photographers, but going to the effort of getting mine printed and then finding the perfect frame has always been a daunting task. 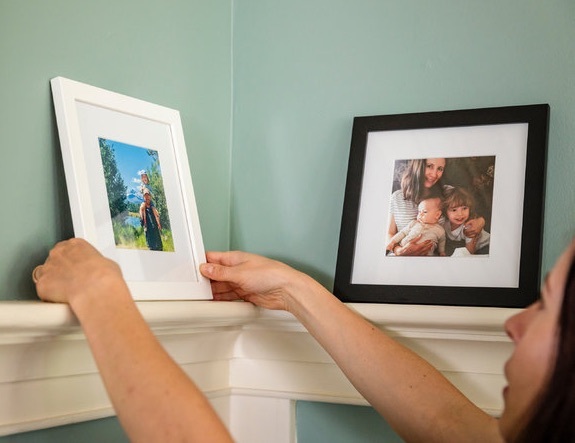 Keepsake makes it so easy: you just upload the photo you want to print through their app, and then you can choose from tons of frames and colors and order right from your phone. The quality is amazing and I loved it so much, I even ordered another print from them for my wall. I discovered Keepsake a couple weeks ago and was really excited to try it out for this photo! Keepsake is SO easy to use – you can download the iPhone app and do it all from your phone or check out on their website. 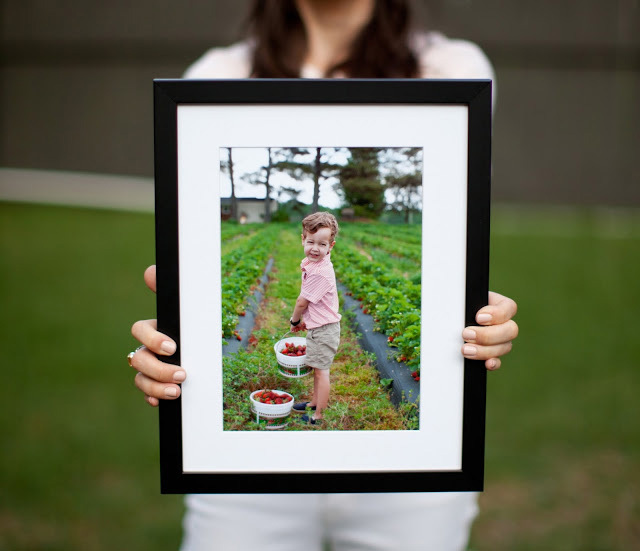 You just upload your photo, pick out your frame, and wait patiently for it to come! It is seriously as easy and 1,2,3! It arrived safe and sound in the mail a couple days later and even came with all the hardware needed to hang it up.